As softModders, several of our guides dealing with modifications involve connecting our smartphones to a computer, allowing us quick and complete access to our device. Android has a rather secretive developers menu within their settings that allows for this connection to be made. Check out the short guide below to learn how to unlock Developer options and enable USB debugging. 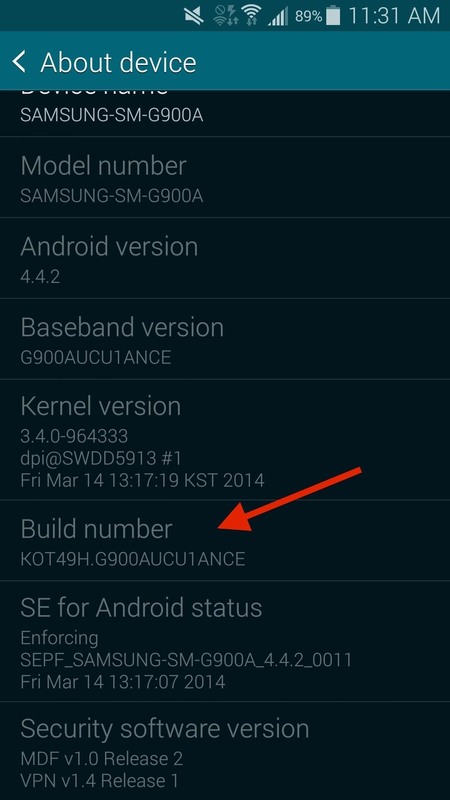 To access the Developer options on your Galaxy S5, you'll first need to head over to Settings -> About device -> and scroll down to Build number. Now tap on Build number 7 times and you will see several toast notifications appear, which will count you down. Once you hit seven taps, a final "Developer mode has been turned on" notification will appear. 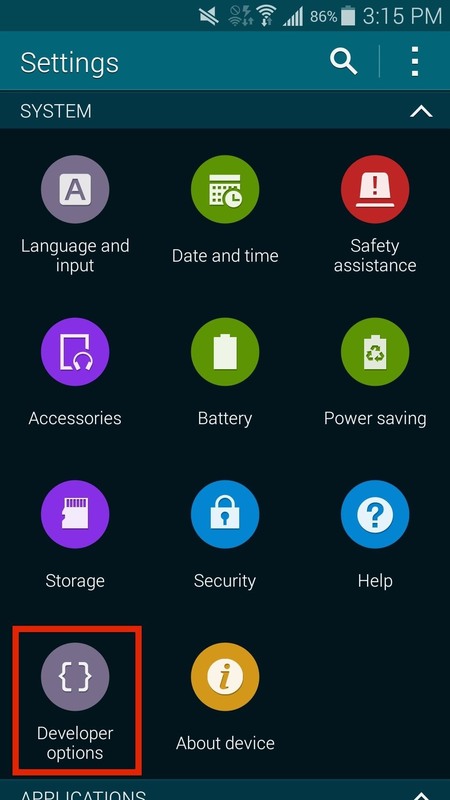 When you go back to the main settings page, you will see Developer options appear right next toAbout device. In Developer options, you can do such things as disable or speed up animations, fake your GPS location, and more. 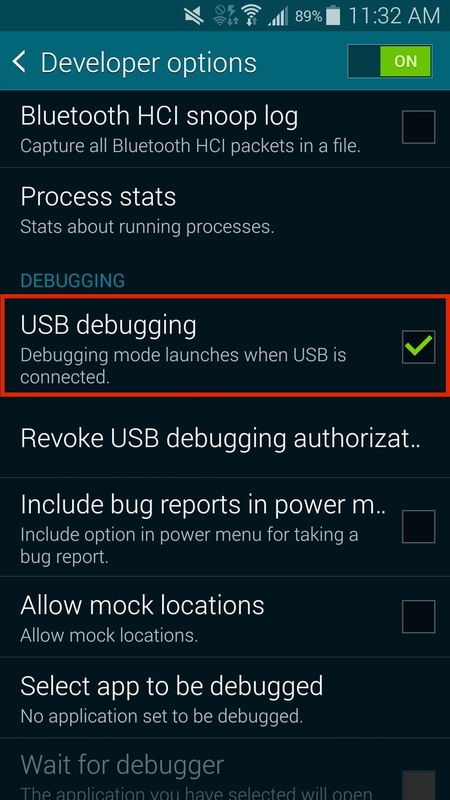 In order to enable USB debugging, go into your newly found Developer options, scroll down and check the box next to USB debugging. Now you can connect your Galaxy S5 to your computer and use ADB on your MAC or Windows, which you can use to modify files and send commands to your Galaxy S5.